The two hours leading up to the NBA trade deadline forced even Adrian Wojnarowski to capitulate. The ever-present NBA behind-closed-doors, front-office prophet was so flabbergasted by the flurry of activity that even he was speechless. Twitter teemed with excitement and shock at the barrage of trades that were being made. Contenders and tankers alike were jockeying for prime contending/tanking position. The 76ers traded away found money in second-round pick KJ McDaniels, sending him to the Rockets for pennies on the dollar. The Bucks blew up their successful season by trading for one of the least efficient players in the NBA (Michael Carter-Williams). Phoenix made a complete roster overhaul. And Detroit shuffled its lineup without sacrificing any essential pieces. 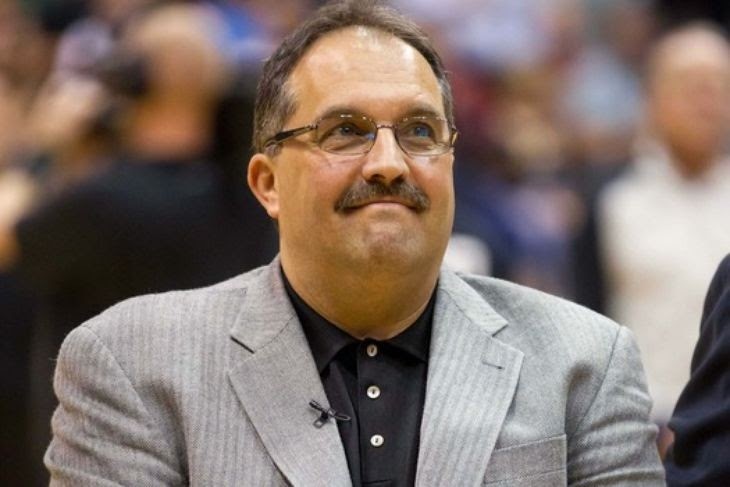 Stan Van Gundy’s refrain for the previous month remained staunch: the Pistons will not sacrifice long-term goals for short-term gains. The team would not make a panic trade to get into the playoffs this season, nor would they sacrifice any young assets without receiving similar compensation. Despite the laughable Joe Johnson trade rumors, SVG approached the trade deadline with the intention of keeping Drummond, Monroe, KCP, and Dinwiddie together. He accomplished that while adding one intriguing piece and clearing space for the coming free agency period, in which the Pistons look to be a major factor. Gone are Kyle Singler, DJ Augustin, Jonas Jerebko, and Gigi Datome. 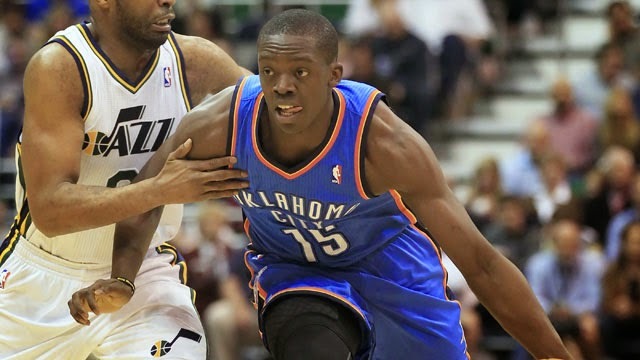 In their stead come troubled Oklahoma City guard Reggie Jackson and living dinosaur Tayshaun Prince. The Pistons traded away flotsam that didn’t factor into the future for an upgrade at point guard and a stand-in small forward. The team may have gotten worse in the interim, but these moves create new opportunities for the free agency push this summer. The most glaring weakness remains small forward. The acquisition of Tayshaun Prince does little to fix the problems that the Pistons face at the position. Singler admirably filled a role he was unable to, and held off Butler, who had played his way out of the rotation, and Cartier Martin who has seen only spot duties since the beginning of the season. Tayshau--or more accurately, his expiring contract--is a cog in a greater scheme, about which more later. The loss of Datome will have a negligible impact on the team, but Jerebko's departure holds much more weight. The Pistons now only have four frontcourt players. Jerebko gave the Pistons flexibility and a consistent insurance policy. Drummond, prone to foul trouble, could be replaced by Monroe at center. Jerebko and Tolliver would platoon the power forward position and give SVG minutes from the bench that should be otherwise handled by Drummond. Without Jerebko, Tolliver and Joel Anthony will see more playing time. The former has acquitted himself this season as a floor spacer and reliable spot-up shooter. Anthony, however, appears barely functional at an NBA level. Foul trouble for Drummond--a certainty at this point--will force Anthony into major minutes. Jackson, the centerpiece of these trades, boasts a mercurial history. He has struggled to find a rhythm this year with injuries to Westbrook and Durant, and has been a not-so-quiet malcontent who wanted out of OKC. He comes to Detroit with significant upside but also questions about his ability to lead a team. Prone to taking ill-advised shots, Jackson's considerable talents were squandered by a coach that refused to understand them. Jackson possesses athleticism that the Pistons haven't had at the point guard position in a long time. He has scored the 20th most points this season on drives and averages 8.3 points per 48 minutes on drives. For reference, Augustin averages 7.7 points per 48 minutes on drives and Jennings averaged 7.2. 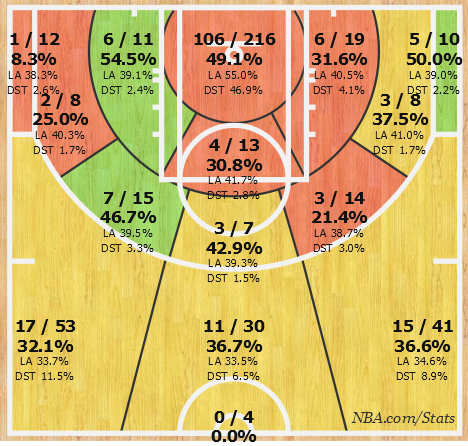 The Pistons' offense has turned two different hit-or-miss point guards into terrors this season, and there's little reason to think Jackson won't see a notable bump in his production once he integrates into the offense. With his athleticism and pick-and-roll proficiency (he boasts a 50.6% eFG%, one spot ahead of James Harden, and has a low TO% in pick-and-roll situations), SVG's system may unleash his potential. 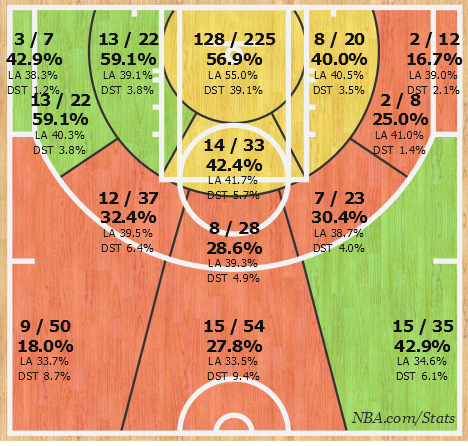 Jackson going supernova stands as the Pistons' clearest path to the playoffs, something which is inadvisable at this junction, though. What these trades garner for the Pistons is flexibility in the coming free agency period. At the end of the season, the Pistons will have just over $36 million on the books for '15-'16. The team may try to re-sign Monroe, who will require $15 million annually to stay in Detroit, or pursue Draymond Green, who would be an apt, SVG-approved replacement. Handing out a max deal to Monroe or Green would leave the Pistons with ~$15 million to fill out the rest of the roster. Bookmark $2-3 million for Detroit's first-round pick (with any luck, a small forward), and the Pistons would only need to shore up frontcourt depth. Of note, as well, is the $4.5 million team option on Caron Butler that may not be exercised depending on the team's draft haul and free agent moves. The Pistons will encounter some difficulty re-signing Jackson. Currently in the final year of his contract, Jackson has notoriously declined a $48M/4 year offer from the Thunder, a deal that comes in at the top of his market. Jackson is a restricted free agent, which allows the Pistons to match any offer, but he may not be worth matching. Jackson's worth hovers somewhere between $8-12 million annually, but if he's seeking significantly more than that, parting ways would be prudent. SVG will cross that bridge when he comes to it. Regardless of Jackson's free agency, Brandon Jennings remains on the roster for an affordable $8 million next season. The Pistons can't go crazy in free agency, however. Drummond will require a max extension following next season. Fortunately, only KCP, Dinwiddie, and Meeks are on the books for '16-'17. This summer will go a long way toward shaping the future of this franchise. I'd expect one or two splashy moves that position the team to contend for home-court advantage in the playoffs. If the season ended today, the Pistons would hold the #10 pick barring some luck (good or bad). Indiana could overtake the Pistons with a successful return from George, and the Sacramento Kings could find cohesion under new head coach George Karl, bumping the Pistons further up the lottery draft board. The moves that SVG made today feel like a franchise willing to take some gambles now that, even if they fail, could pay dividends this summer. And for a team nowhere near contending, these are smart moves to make. With news that the Pistons just signed Quincy Miller to a 10-day contract, it's clear that the team will scrapbook its way to the end of the season and reassess later. Jackson could prove to be an excellent leader stuck in a previously crummy situation. He could also be a shoot-first hindrance that fractures the offensive system. SVG has earned the benefit of the doubt, and it will be exciting to see if Jackson can run this offense and whether or not he can be convinced to stay. Despite the hope instilled following the un-Smithening, the Pistons always needed a few more years to develop young talent and craft a roster that can compete nightly. Today's moves don't make them into that team, but they do lay the groundwork for the years ahead.